When you open your mouth to let that sound out your voice is the first link in a chain to everyones ears. The very next critical link is your microphone and the right mic can make all the difference in the world. The right equipment that would have costed a fortune just a few years ago can be had by every aspiring singer. You want it to work great so you sound great. Here are a few of our tried and true trusty picks for the perfect mic if you’re going to sing live. You’ll see that there are wireless and handheld as well as head-worn or you may just be the type who likes to hang it on a mic-stand. It’s a very personal choice and finding the right one can make all the difference in the world. Our list below will cover any preference and put a smile on your (and your listeners!) faces. 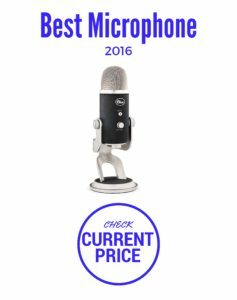 Our Picks for the Best Microphone for Live Vocals – 2016. 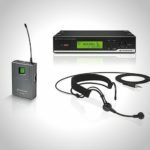 Shure SM58S Vocal Microphone (read review) – More on-stage pros have had a member of the Shure SM58 family in their hand than any other microphone. It limits interference with cardioid pickup pattern that is perfectly tailored for singing and vocals. The best reason to check out the SM58S, the reason it’s been on more stages than any other, is it works! When you’re singing live each of these microphones will definitely knock it out of the park. Microphones for singing in an environment where there other noises, sounds, and people are a special type of mic. There is a sweet-spot that makes the magic happen especially when you’re singing with other instruments and singers on-stage. If you like to keep your hands free and the move around a lot a head microphone for singing could do the trick. 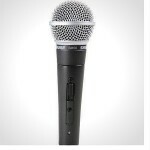 Or if you prefer having a little weight in your hand while expressing yourself the Shure SM58S could be the perfect fit. You can also consider, if you have a place where you may be for a few performance dates, the dual-option of a singing at home microphone in a “live” environment. You can see that the cost/features of each option can vary a lot so think about what is most important to you. We focus on the optimal microphone for each situation and then go from there. We feel totally confident that any of our picks will have you giving your best performance possible.